Get in the Game with this NHL Colorado Avalanche Team Repeat area rug from Milliken and Company - the leader in textile research and design. Made of 100% nylon pile fiber. Made in the U.S.A.Rug Dimensions: 5' 4" x 7' 8"To view all the Milliken Area Rugs available for this team please click here.PLEASE NOTE THIS PRODUCT CAN ONLY BE SHIPPED TO THE UNITED STATES. 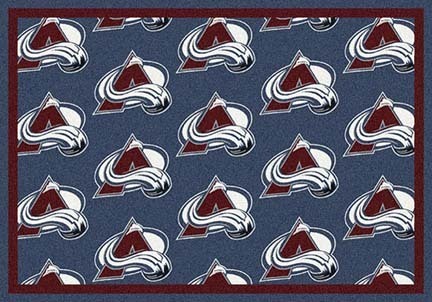 You found Colorado Avalanche 5' 4" x 7' 8" Team Repeat Area Rug in category Teamware / Logo and subcategory FanShop. If you need to buy more FanShop than you are on the righ place. 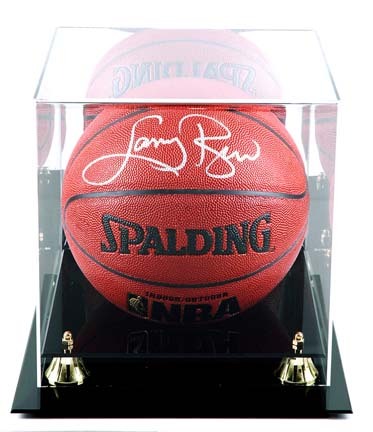 Golden Classic Basketball Display Case comes with a black acrylic base, gold risers and mirrored back. Includes free nameplate. Made of 1/8th thick acrylic and features a clear acrylic lid with 70% UV protection. Perfect for showcasing your treasured basketball. Inner Measurements: 9 1/2" x 9 3/4" x 9 1/2", Outer dimensions: 13" x 12" x 11".The basketball shown is NOT included.NOTE: Be sure to choose whether you want the Nameplate included or not with your order. If you do want the Engraved Nameplate, be sure to type the Single Line of text into our COMMENTS box, upon Checkout. Or, give us a call and we'll be glad to assist you, (800) 856-2638. 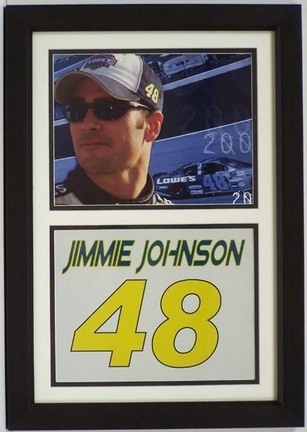 This is an absolutely gorgeous piece of memorabilia for your home, business or office.It features one of the hottest NASCAR drivers for the 2006 season. This piece has a great head shot of Jimmy Johnson and his car number below it. It is double matted, professionally framed and ready to hang on your wall. 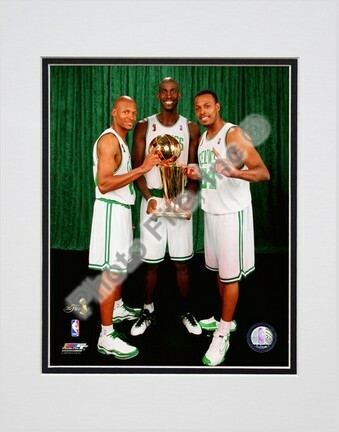 The total measurements of this beautiful piece of memorabilia is 14" x 20". (Photo may vary from the one pictured).This is a must have for any NASCAR or Jimmie Johnson fan! Enjoy this photograph featuring NHL player Evgeni Malkin of the Pittsburgh Penguins. A great collector's piece for all Pittsburgh Penguins fans!About this photo: OFFICIALLY LICENSED Photo Custom printed and cropped on high-gloss photographic paper Mounted in an acid-free mat with precision cut beveled edges Made in a custom photographic lab, not on a printing press Each game-action or portrait photograph was taken by a professional photographer Photo File is an authorized licensee for this photo Outside matte is eggshell white with a black interior matte.Black anodized aluminum frame Size with frame is 11"x14"Note: This is an unautographed photograph.